The CEO of Mylan, which has come under fire for drastically raising the price of its EpiPen, says it's "not true" the company reaps huge profits off its lifesaving allergy treatment. That's according to testimony Heather Bresch is set to present at a hearing on Wednesday before the House Oversight Committee. Its top members said last week they are sympathetic to the "justified outrage" of families and schools struggling to afford the device. "I think many people incorrectly assume we make $600 off each EpiPen," according to Bresch's prepared testimony, which was obtained by CNNMoney on Tuesday. "This is simply not true." Bresch's written statements say Mylan makes about $50 off each pen after rebates, fees and other costs are deducted. Mylan (MYL) has been slammed in recent weeks for raising the price of an EpiPen two-pack, which cost less than the $100 in 2009. Parents launched an online petition asking Congress to stop the drug's "price gouging." 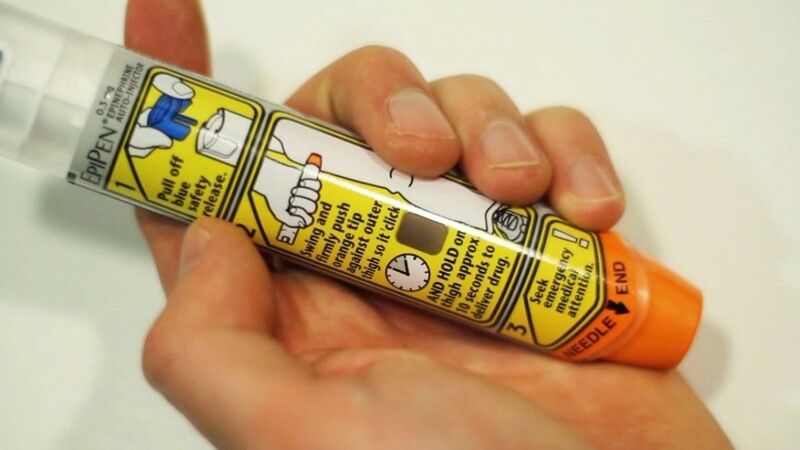 The pen injects a dose of epinephrine to stop life-threatening allergic reactions. "We look forward to receiving answers ... from Mylan," Republican Jason Chaffetz and Democrat Elijah Cummings said last week. Bresch has defended her company. In a CNBC interview last month, she faulted a "broken" health care system that "incentivizes higher prices" in the industry. But that explanation probably won't cut it with the committee, said David Maris, a pharmaceutical analyst at Wells Fargo. "For Mylan to be successful, they'll have to answer the questions honestly and openly," Maris said. "Avoiding or trying to be too cute with a senate panel is a recipe for disaster." Mylan last week gave the committee documents detailing the profits made from EpiPen sales. The company has not cut the cost of the EpiPen, but it did start offering $300 savings cards for patients who have to pay full price. In her prepared remarks, Bresch said the savings cards, along with a planned generic version of the product marketed at $300, signal the company "confronted the EpiPen issue head on." "I wish we had better anticipated the magnitude and acceleration of the rising financial issues for a growing minority of patients" who paid full price, the testimony reads. "We never intended this. We listened and focused on this issue and came up with a sustainable solution." The treatment is also at the center of several antitrust investigations related to Mylan's school distribution program. And USA Today reported Tuesday that Bresch's mother used her job at an education association to help generate sales for the EpiPen. Mylan told the newspaper there was "no truth to the suggestion that the company's efforts were anything but straightforward." -- CNNMoney's Jackie Wattles contributed to this story.